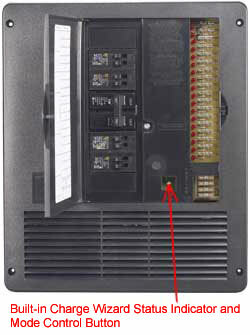 The AC Distribution Panel is rated for 240 VAC @ 50 AMPS. Provisions for up to 12 branch breakers (breakers not included). Center feed dual 50 AMP main breaker (not included). AC Panel features 12 built-in push and lock strain relief wiring connectors for quick installation. Saves over 50% on installation cost. Vertical or horizontal mounting choices. 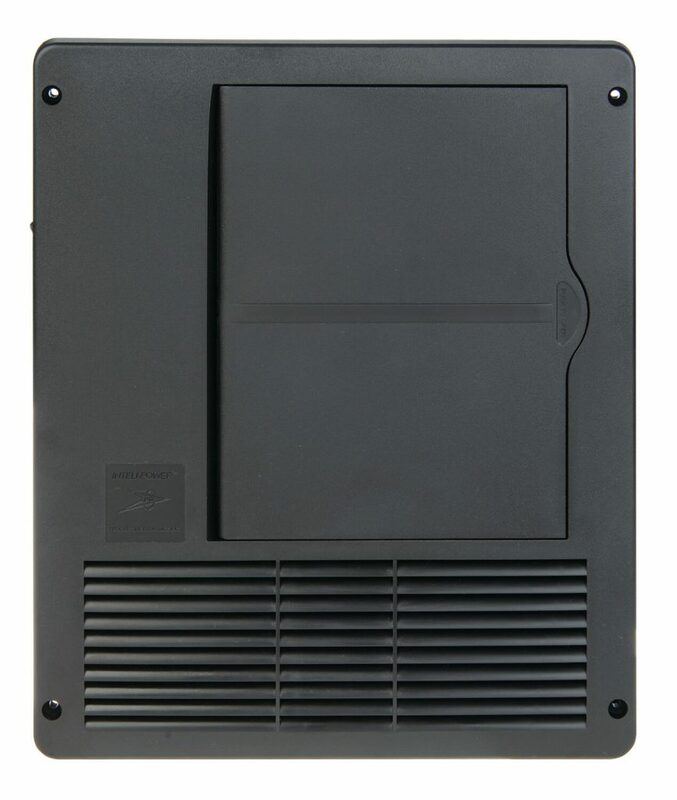 Attractive light weight panel design made from impact-resistant high temperature polymers. Note: AC Breakers are not included and shown for reference only. Top two fuse holders recommended for low current devices such as smoke detectors and carbon monoxide detectors. 18 Branch fuse holders with maximum rating of 20 AMP. Optional L.E.D. indicators identify which fuse is blown. Converter/Charger ratings of 60, 75 and 90 AMP, which is the largest rating available in the industry. Easy access reverse battery protection fuses. 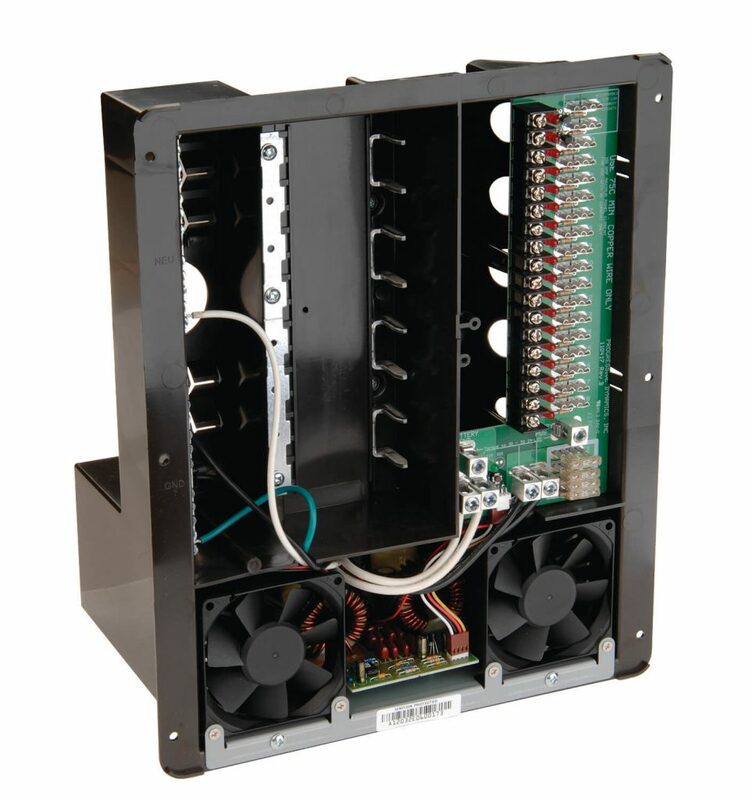 Optional DC Ground Buss can be user-installed in the DC wiring compartment. Inteli-Power 4500 Series models can recharge the battery to 90% in 2-3 hours using our patented Charge Wizard technology. BOOST Mode 14.4 Volts - Rapidly brings RV battery up to 90% of full charge. In the BOOST mode the Charge Wizard status indicator stays on. NORMAL Mode 13.6 Volts - Safely completes the charge. In the NORMAL mode the Charge Wizard status indicator flashes once every second. STORAGE Mode 13.2 Volts - Maintains charge with minimal gassing or water loss. In the STORAGE mode the Charge Wizard status indicator flashes once every 8 seconds. DESULFATION Mode 14.4 Volts every 21 hours for a period of 15 minutes to prevent battery stratification. In the DESULFATION mode the Charge Wizard status indicator stays on. Weight 8 LBS. 8.5 LBS. 10 LBS.